We will explore how a flipped classroom can be supported by apps, web platforms and school safe social media. We will also introduce a number of EAL apps. Here is Ms. Proch's Class Blog that she uses to keep her students up-to-date. Here is Ms. Thibeault's Weebly that she uses to keep her students in the loop. In order to communicate what is going on with our students and their parent(s)/guardian(s), we also sent home a letter that simply explained the whole process and the changes they might see. If you want to have an internet-based flip, you will probably need a platform/place to put/store/collect/organize your material for you and your students. Check out the list below that we have used/tried. Each serves a slightly different purpose, so look for ones that meet your needs. There are lots of other sites available too, but these are the ones we've taken a good look at. We started our flip with Romeo and Juliet. Students had prep work to do the night before, which ranged from reading a summary of the next scene online to conversing about comprehension questions regarding what they read in class. Students came to class to read using Shakespeare in Bits (iPad app) or a book (their choice). Like everything in life, it had its ups and downs. Here is a summary of the Pros and Cons from different perspectives. Prepares you for the real world. 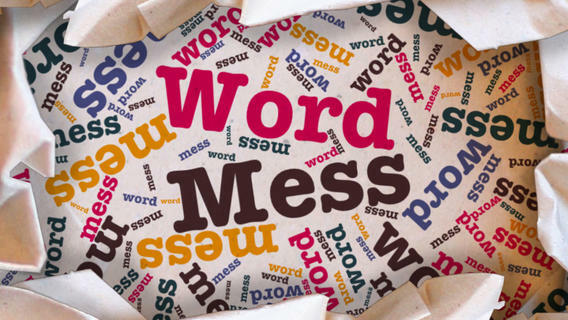 WordMess - $1.99 Great for Brain Breaks, and it is Thibeault’s new favourite past time. iTranslate Voice- $1.99 iTranslate Voice currently supports 42 languages for both translation and dictionary services. Just speak the phrase or word you want to translate and iTranslate Voice speaks the target language. If you are misunderstood, you can tap the pencil to correct iTranslate Voice. AirTranslate lets you pair with someone else wirelessly who also has iTranslate Voice installed. You can both speak your native languages and let iTranslate Voice take care of the rest. Pinterest- visual discovery tool. Useful for picture dictionaries, or matching themes. It is free. Dragon Diction- voice recognition that allows you to speak and see your text or email messages. It is 5 times faster than typing on a the keyboard. Text Here (Comic Life)- create comics. Funny pictures with captions. Have used with EAL to display a character or important parts of a scene. Book Creator- ($4.99)- create a book. Add pictures, videos, text and sound effects. Remember that you are trying to help them learn the content in your class. You are not giving them an iPad to distract them in hopes that they can later learn the material you are teaching. Also, I realize that some great apps cost money. One thing I have done is “challenges” or “iPad circles.” Once a student is done a certain task, they need to complete so many challenges, or spend a few days switching iPads and having the students explore. Simply pay for the one app, and have different apps on different iPads. Just be sure to keep track of which iPad has what.